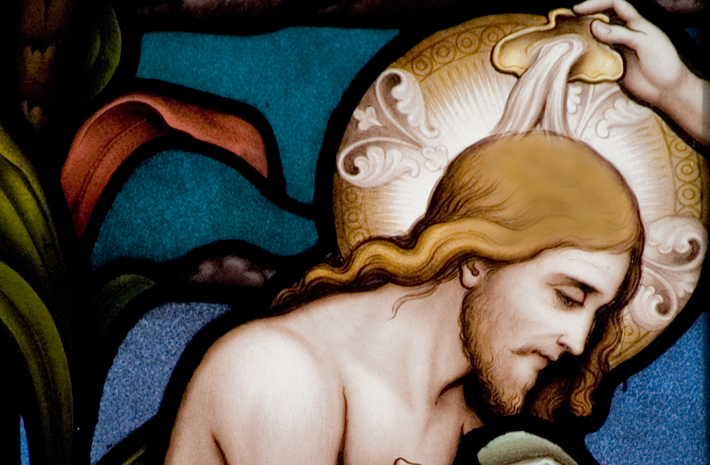 Faith in God and in Jesus Christ has something mysterious about it. Inherent in the word ‘faith’ is our inability to understand it fully. We put our trust in the God whom we cannot see, while nonetheless at the same time faith does have an assurance and a certainty which give us peace of mind. 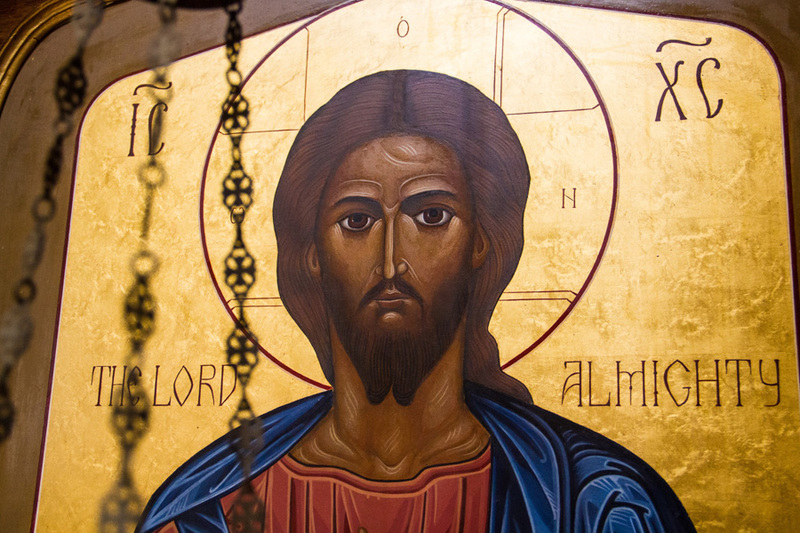 Our Catholic faith teaches that faith is a gift from God, not one we can give ourselves. 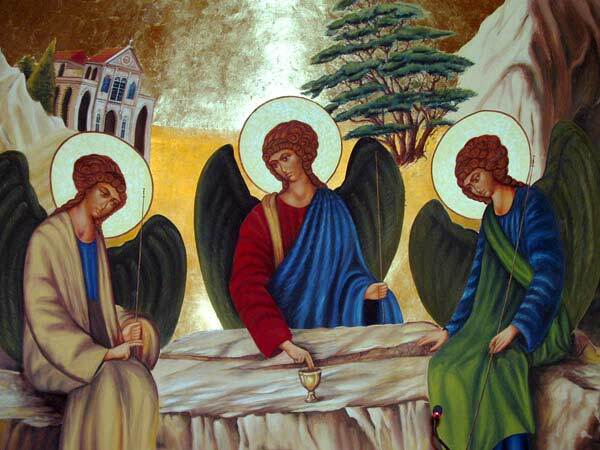 The call to believe in God, Father, Son, and Holy Spirit comes directly to us from the Holy Trinity. 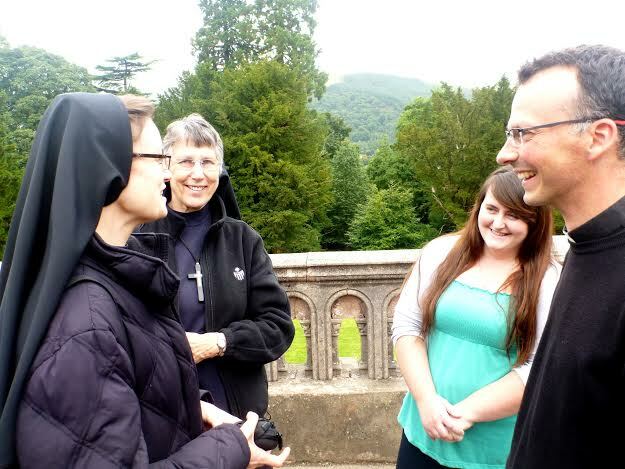 More often than not that call is mediated to us through the life and example of others who do believe, whether they be parents, husband or wife, priests, teachers or simply friends. We can be influenced in so many different ways as we find our path to God. Faith introduces us to a community, usually that of the local parish gathered around the altar for Sunday Mass with its priest and people. 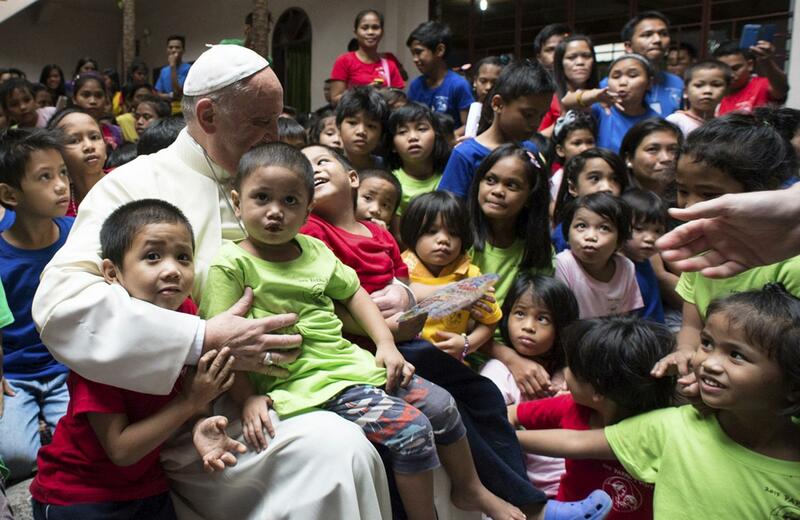 Faith also confers an important sense of belonging: we need the company and support of others who share the same beliefs and encourage us by the manner in which they live out their Catholic faith. 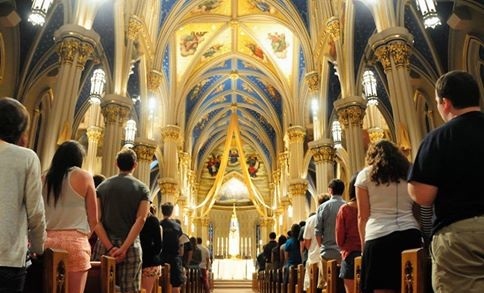 For those new to the Church, faith can be like coming home to a welcome and to a place where deep and perhaps long and inexplicable restless yearnings within us at last find solace. 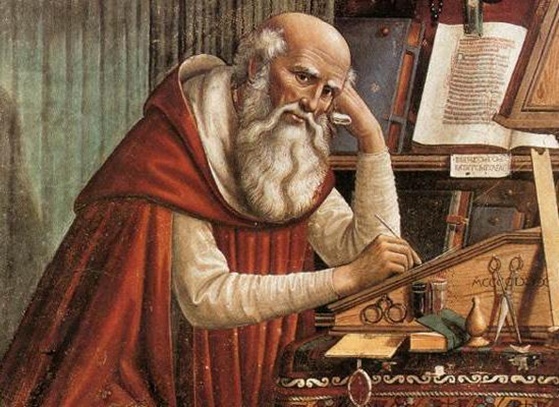 Those who have come to faith in Christ and the Church later in their lives speak of having come on a journey, in some cases lasting many years. 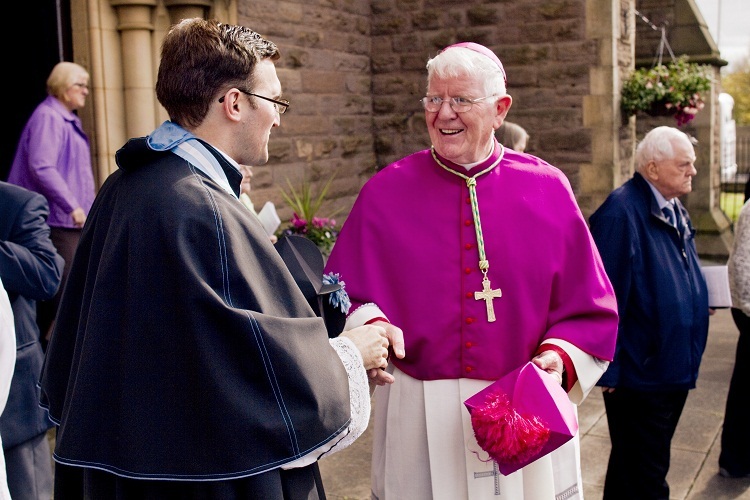 Each person’s story is unique, and as Bishop on the occasion of the Rite of Election in the Cathedral, I am invariably moved when people recount the different highways and byways they have travelled before reaching this point. One must remain silent and stand in awe at the mystery of God’s workings. 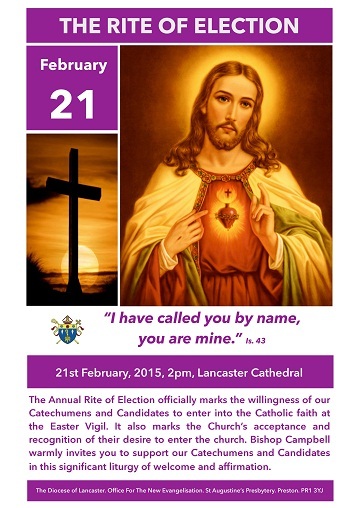 On the 21st February our annual diocesan Rite of Election will take place in St. Peter’s Cathedral, Lancaster at which those to be baptised or received into full communion with the Church will be officially welcomed by me, the Bishop. Those who attend this simple liturgical rite organised this year by our Office for the New Evangelisation are invariably touched by witnessing faith in action and the courage of the new converts preparing to take this important step. I urge you to pray for all who will come forward at the Rite of Election next month. 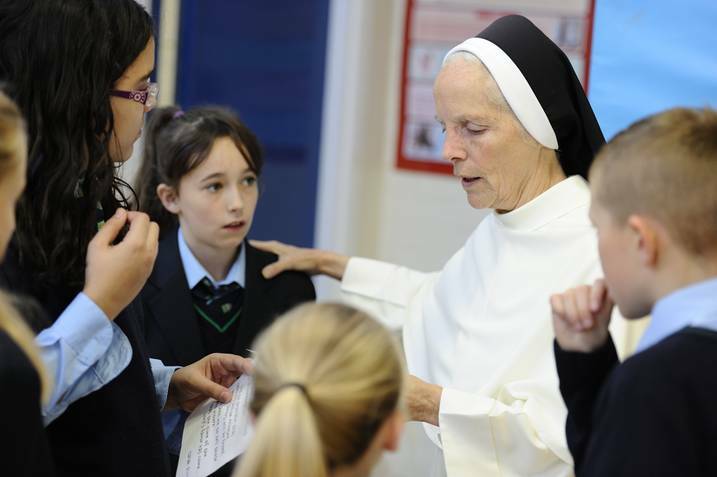 Do you personally know of anyone that you could encourage to embrace the challenge of the Catholic faith? In some cases it only requires a helping word and a prayer, and God will do the rest! 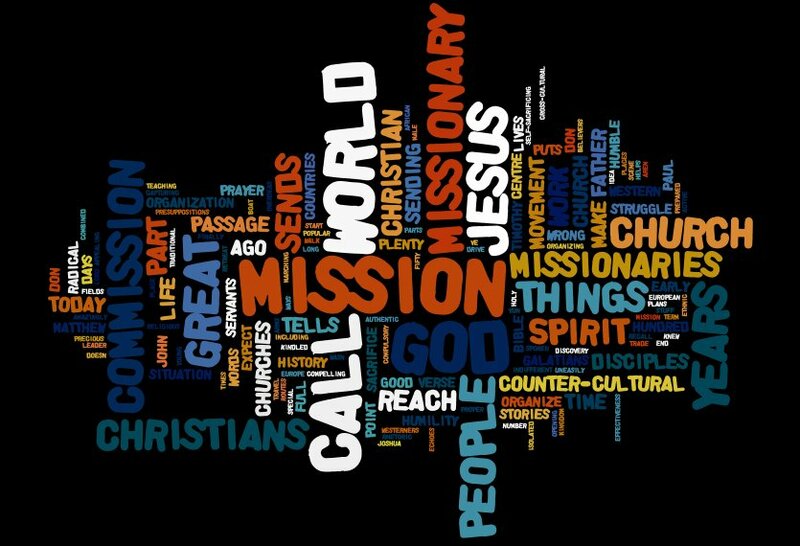 Do please pray for the missionary outreach of our Church, both at home and abroad, for Christ the Son of God has come to call us all home, into the warmth and love of the Church he has founded by his death and resurrection. 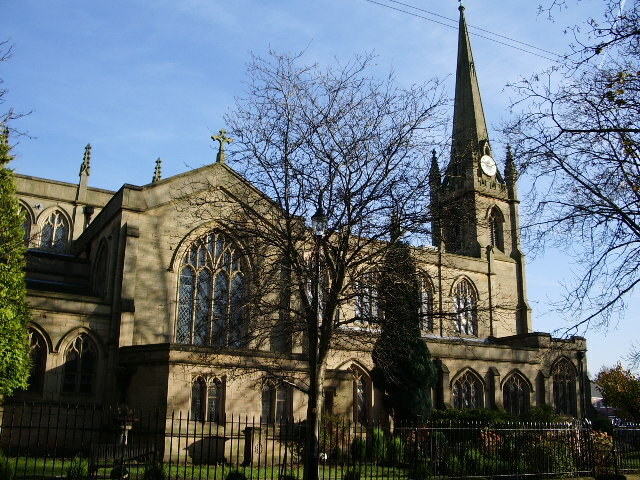 Thank God, we have saved two historic churches in Preston – but building up the mission of the Church is much more important! 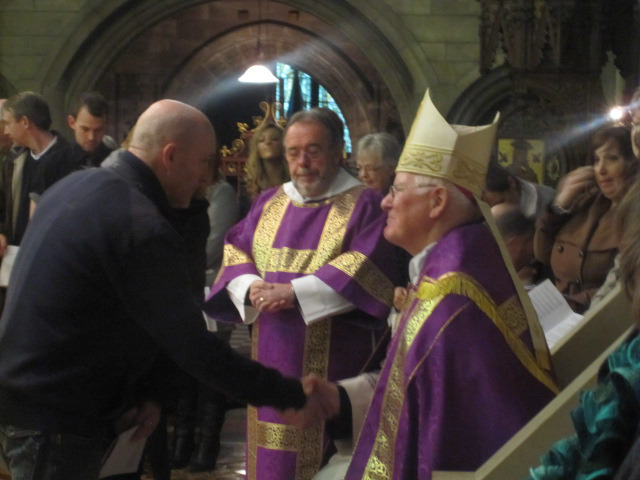 Six months ago, I was delighted to be able to announce for the Diocese (in April 2014), and much to everyone’s surprise, that we would be able – against all the odds – to save one of our most ‘iconic’ churches, St Walburge in Preston. 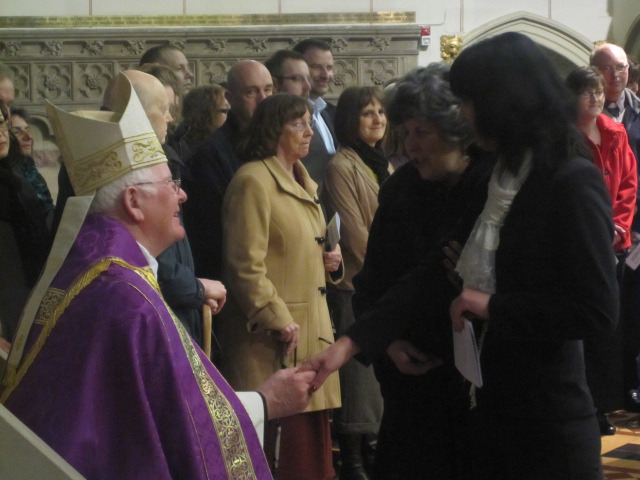 This was brought about by the acceptance of my invitation to a young and dynamic religious community, the Institute of Christ the King Sovereign Priest to come and to administer St Walburge’s as a Shrine Church given especially for Eucharistic Adoration and for the celebration of the Sacred Liturgy in the Extraordinary Form. Thankfully, since the Institute arrived among us in September 2014, they have been able to bring this beautiful church, which in recent years was only open for just an hour each week, ‘back to life’ with a promise going forward of a sustainable future. Starting first with modest steps, the priests and seminarians there are making steady progress and are gathering a good momentum of support. 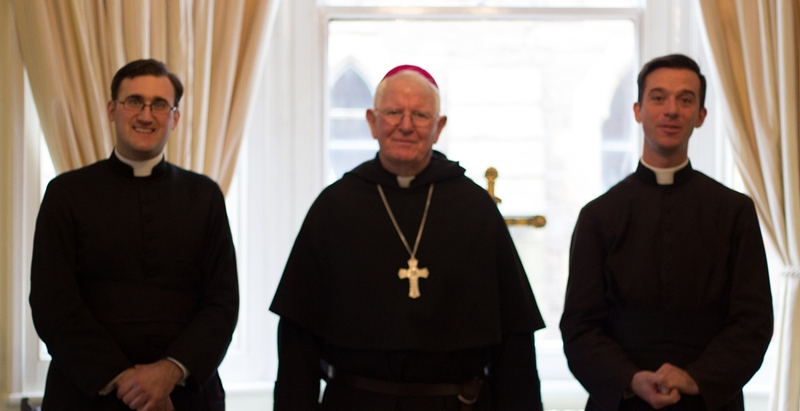 St Walburge’s – so dear to local Catholics and many others in Preston has a new purpose now and is secured for the future. 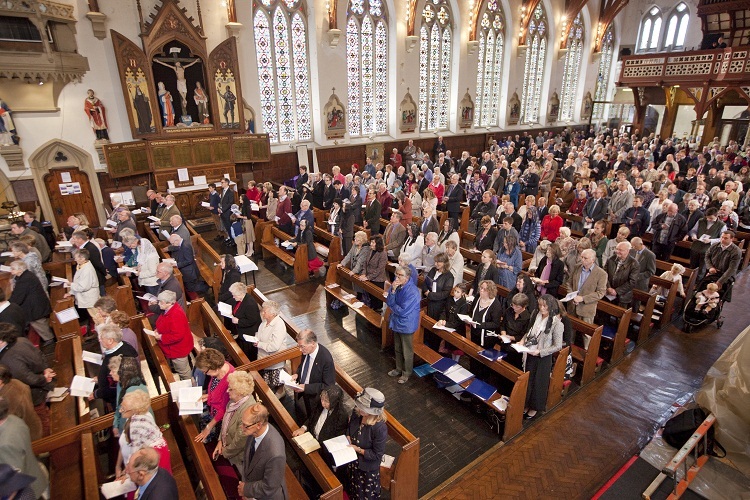 St Walburge’s Shrine Church is open for all now – each day of the year. I heartily recommend a visit if you are in the area! 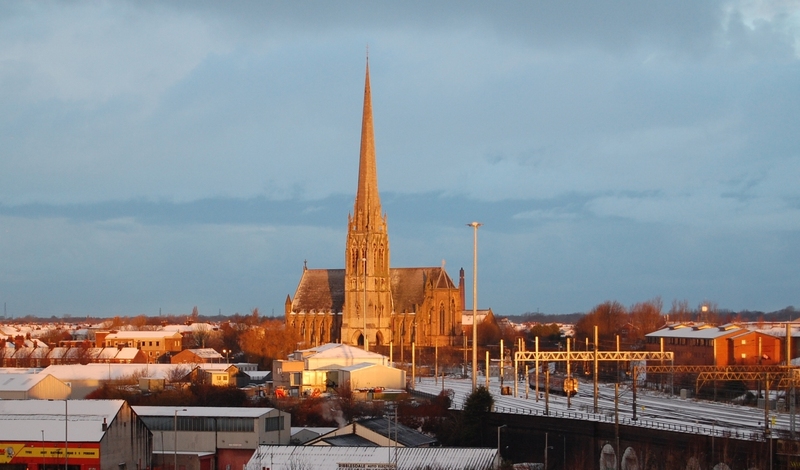 Following on from this, last Sunday (11 January 2015) I was also able to announce, too, that yet another historic church in the centre of Preston, St Ignatius (closed since 2 December 2014), has been secured for the future by my installing in it the local Syro-Malabar Catholic community from Kerala in South East India – a vibrant and young community belonging to this venerable and ancient Particular Church sui juiris which cherishes its full communion with the Pope but at the same time its own rich patrimony, cultural expressions, laws and liturgy. 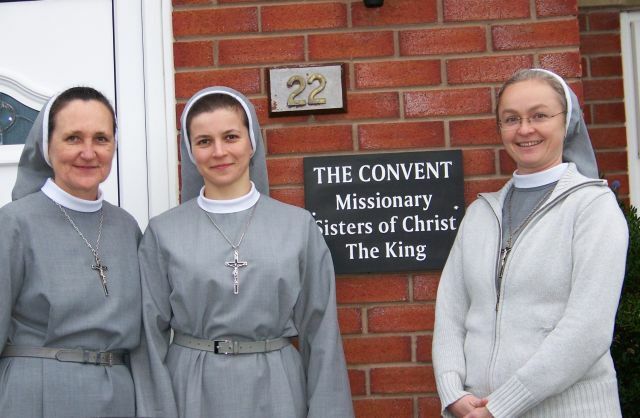 The former English parish community at St Ignatius had been merged for some years with English Martyrs and more recently that parish was merged further into the newly-created Parish of St John XXIII, Preston. 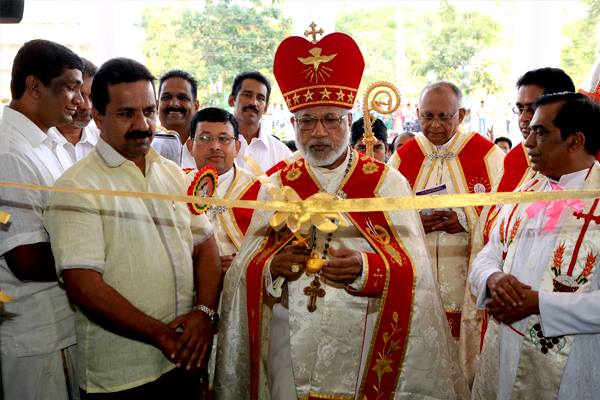 I managed to secure this announced arrangement because of the providential intervention of the Syro-Malabar Major Archbishop Cardinal George Alencherry requesting a church and presbytery in Preston for the particular and exclusive use of the Syro-Malabar Catholic Church. St Ignatius church, like St Walburge’s, was originally a Jesuit foundation, as one might guess from the name; the Catholic poet Francis Thompson, author of “The Hound of Heaven”, was baptized there in 1859, and Fr Gerard Manley Hopkins, S.J., served for a time as the church’s curate in the 1880s. Now, just when all was believed to be lost, new and unexpected faith and life is promised! 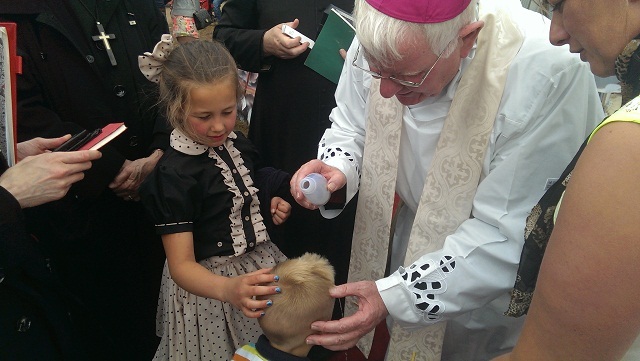 Of course, I am hoping that the priests and people of the Church in the Preston area, will be encouraged and excited by these developments that seek only one thing to build up the vibrancy and richness of the mission of the Church in the city and in the wider-Diocese. It’s truly wonderful that we can save these two historic churches but what is far more important is the building up of the mission of the People of God (people, religious, deacons, priests and bishop) – those ‘living stones’ which make the Church. I can happily share with you that I have received many messages of support this last week for the work – with the Lord – to bring about these developments. Nonetheless there will always be a few who – for reasons that only the Lord can judge – will seek to apply a certain cynical, self-referential, or even a hurtful reaction to our efforts. Still we plough ahead with the love, support and prayers of so many in the Diocese and further-a-field. 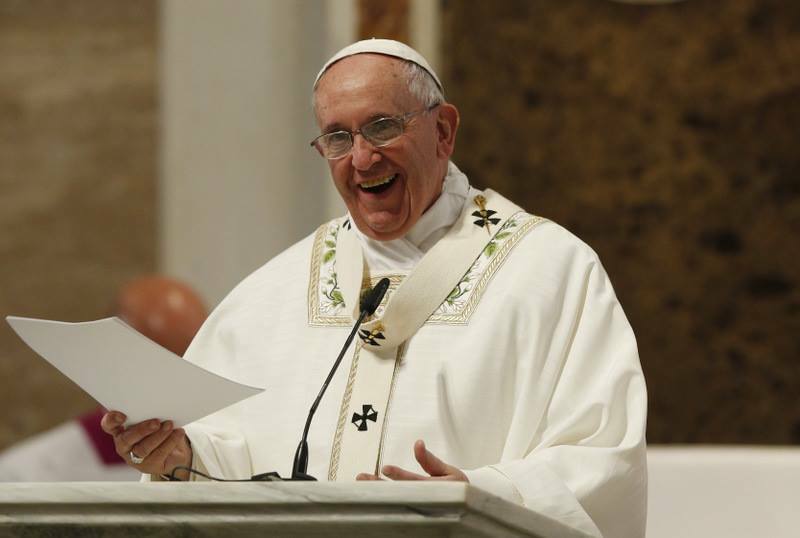 Our Holy Father is broadening our vision and our capacity for imagining a new, different and outward-flowing experience of the Church – way beyond buildings, Mass times, structures, our routine and unquestioned habits and practices. 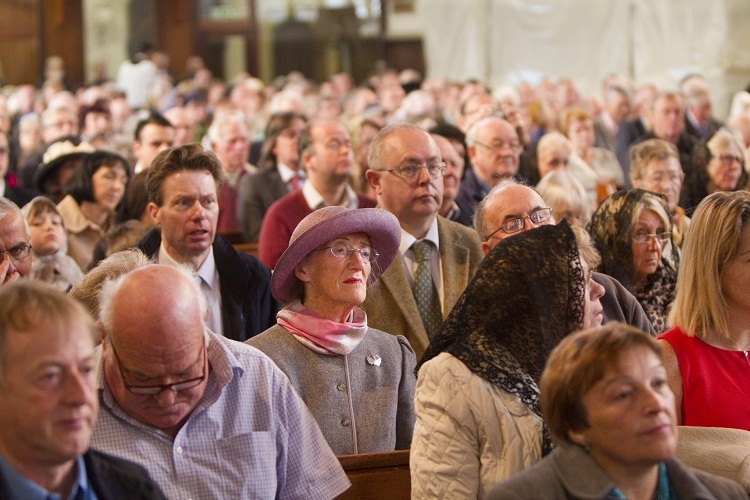 This can be uncomfortable and painful at present for some but should bring about great growth and life for the Church in our Diocese in the years to come. We have every reason to hope because God loves us. And that’s much more than empty piety. 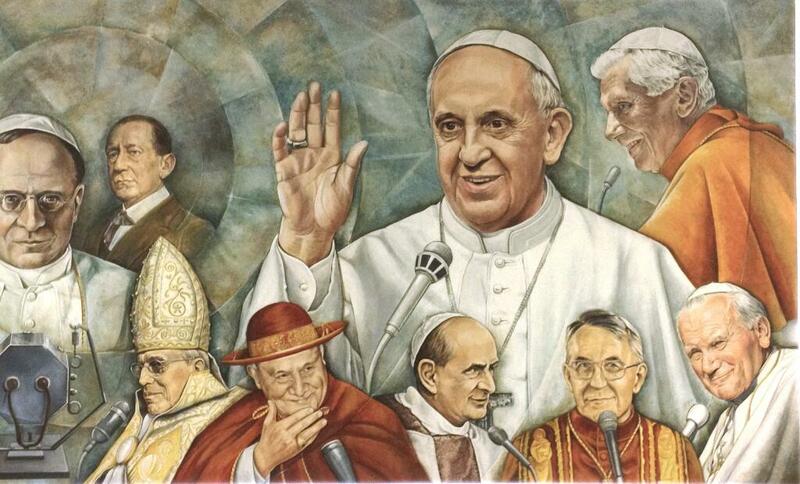 The proof of it is those who quietly believe in his goodness still active in this Diocese and who want to fight for it. God’s Word became flesh and dwelt among us. Our shared vocation is to echo this Word by our daring witness to letting it become flesh in the initiatives, imagination, and bloodstream of the life and ministry of the Diocese going forward. I realize sadly, too, that some of our parishes have been artificially kept afloat long after their effective lives have ended. Instead we need to ‘bite the bullet’, continue to make difficult decisions with future generations in mind and to put our energies and emphasis on evangelizing, catechizing, and educating our young people and lay adult leaders, but not necessarily with our current drag of structures, bureaucracy, and buildings. The Baptism of the Lord: A significant moment for Him and for us! 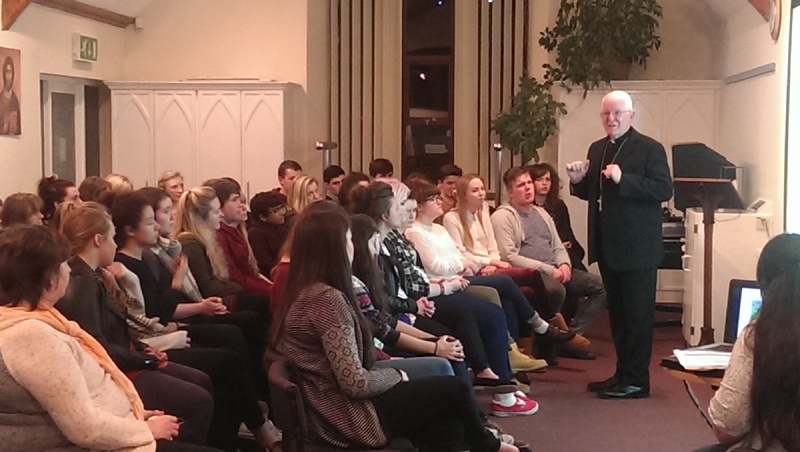 Welcome back to this the first post of the Bishop’s Blog in 2015! This Sunday’s feast of the Baptism of the Lord brings the great Christmas liturgical season to a close. It would be a mistake however to look on today’s feast as constituting no more than the tail end of the Christmas celebration, for the Lord’s baptism was a deeply significant and important moment for him and as a feast remains rich in meaning for us. 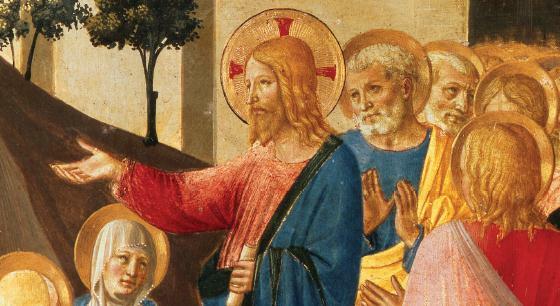 When Christ became part of the assorted masses that flocked to John for baptism at the river Jordan he was showing his humble identification with sinful humanity, for he was like us in every way but sin. 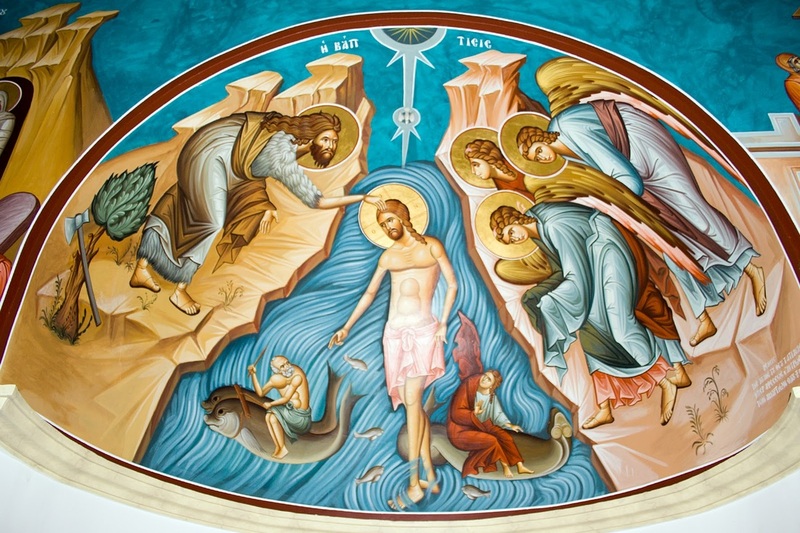 The Evangelists present us with the moving spectacle of the Son of God submitting himself to John’s baptism of repentance in the waters of the Jordan. The Fathers of the Church like to point out that Christ by his baptism made holy for all time the waters of Christian baptism. We therefore have been baptised in water sanctified by Christ himself. 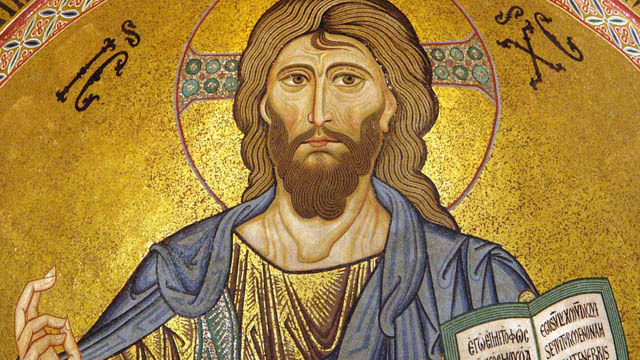 We are told that as Christ came up out of the water the Father’s voice from heaven was heard to declare, ‘You are my Son, the Beloved; my favour rests on you.’ The Father was thus affirming that the newly baptised Son of Man was also the Son of God. 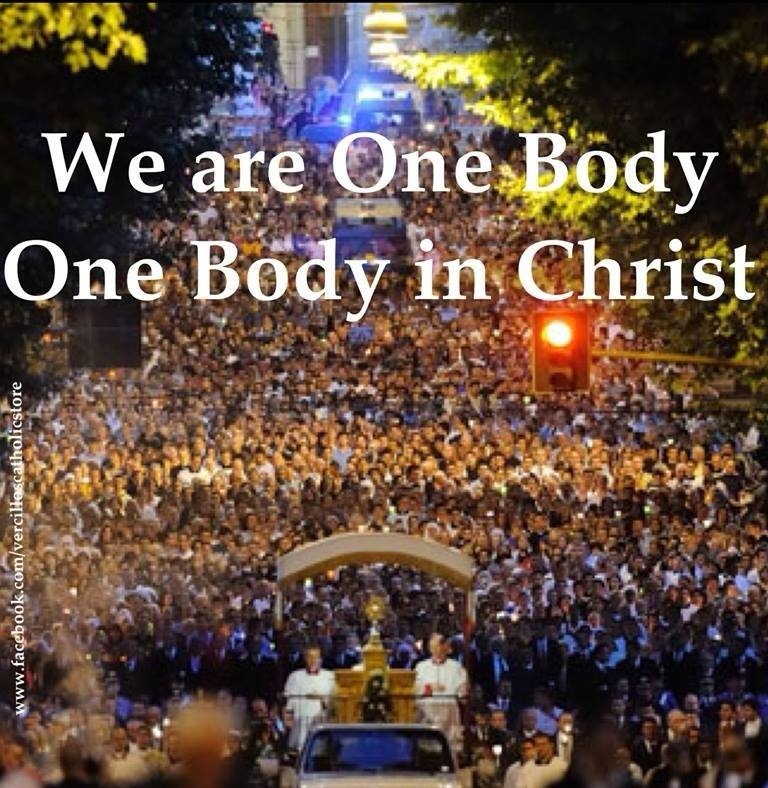 In his humanity Christ was being confirmed in his divinity. When the saving water of baptism is poured over us we too become a son or daughter of God, and a ‘favourite’ of God the Father. Christ was the Son by nature, we are sons and daughters by adoption, thanks to his redeeming work. 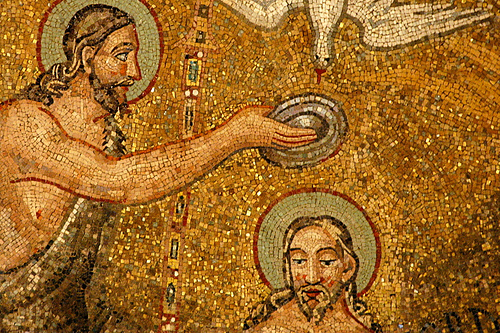 The Holy Spirit was also present at the Lord’s baptism in the form of a dove, which rested over Christ. The power of God the Spirit would henceforth overshadow him throughout his public ministry, equipping him to perform those mighty deeds of healing and proclamation which the gospels record. 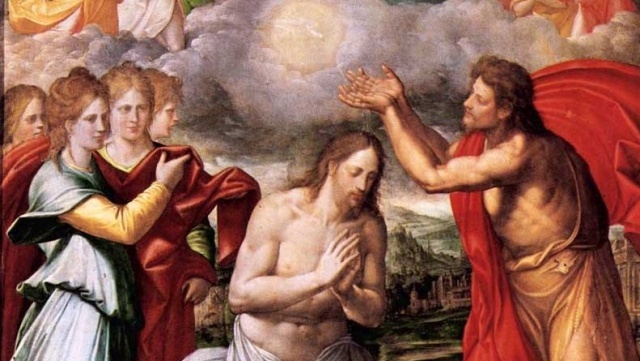 The feast of the Lord’s baptism is therefore a revelation of the mystery of the Holy Trinity as well, for both God the Father and the Holy Spirit were seen to be active as Christ was about to begin his ministry of redeeming the human race. 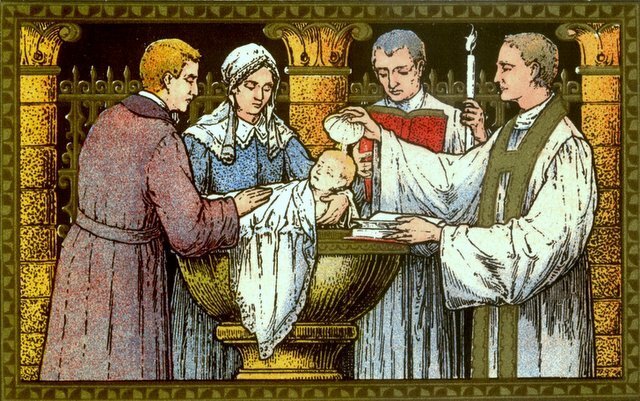 It is no coincidence then that essential to Christian baptism is the invocation of the most Holy Trinity: I baptise you in the name of the Father, and of the Son, and of the Holy Spirit. The New Testament writers, especially the apostle Paul, speak of Christian baptism in terms of a new birth. When we are baptised in Christ we are mysteriously begotten by God into the new life of the risen Christ, and now form part of his family, the Church. Christ is the source of this new divine life which empowers us to live in the world as Christians. 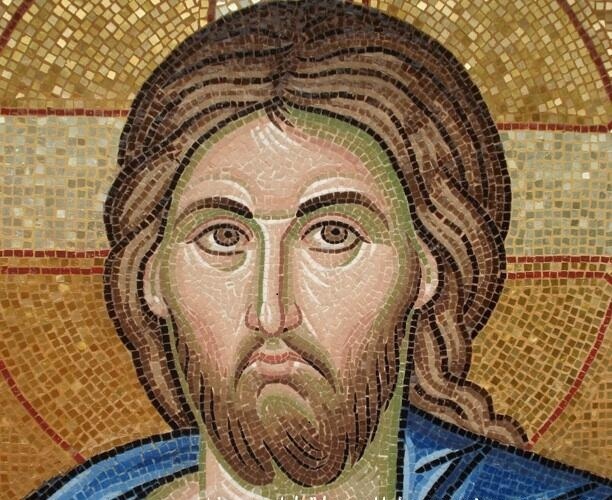 The so-called hidden life of Christ ended with his baptism in the river Jordan, and a new sphere of activity now awaited him in the towns and villages of Palestine. Today’s feast is a powerful reminder to us who have been baptised, that as beloved sons and daughters of the Father we, like Christ, in the power of the Holy Spirit must set about our tasks of proclaiming and constructing the Kingdom of God according to the gifts God has given us. Happy Feast of the Baptism of the Lord! – have you seen this wonderful news?